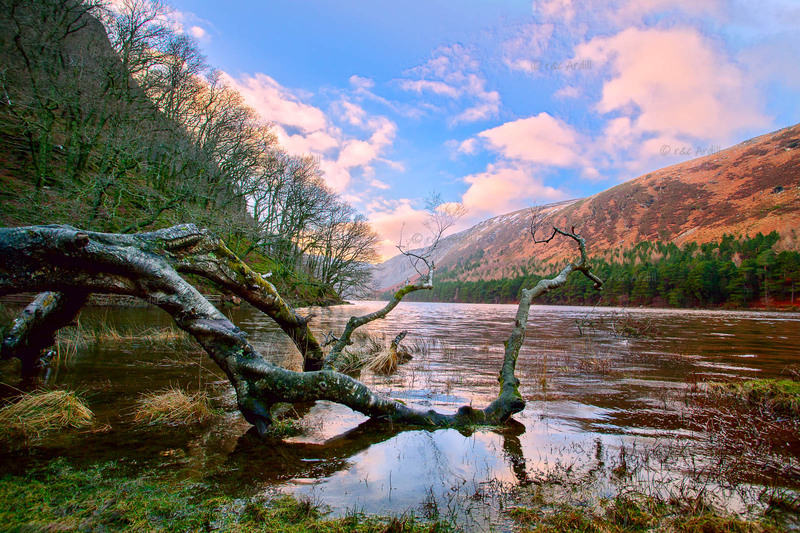 Photo of: East Coast of Ireland: Wicklow: Glendalough Upper Lake. This is a view of the Upper Lake at Glendalough in the Dublin / Wicklow Mountains. It is a winter scene at sunset. A scattering of snow remains at the end of the valley near the Miner's Village.